Would you pay $4.99 for a bunch of easy fatalities? For $4.99, you can purchase 30 “easy fatality” moves for Mortal Kombat X, the newest game in the long-running franchise released today for PC, PlayStation 4, and Xbox One. The Mortal Kombat fighting games are defined by fatalities—brutal executions that take place after someone wins the match. Successfully executing a fatality usually requires a precise set of joystick and button commands. Historically, knowing how to do every character’s fatality was a source of pride, especially during the early, arcade history of the series. Mortal Kombat X is also offering five easy fatality moves for $0.99 , but simplified fatality commands have been hidden within Mortal Kombat games in the past and cost nothing. 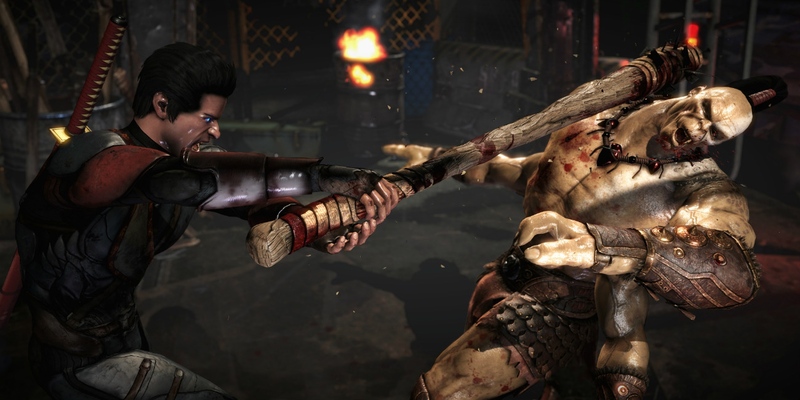 Easy fatalities in Mortal Kombat X can also be unlocked via the Krypt, a sort of in-game store where players spend Koins earned by playing matches. This free alternative to using real-world money for the purchase of easy fatality moves isn’t mollifying everyone’s complaints, however. Veteran and popular game critic Jeff Gerstmann tweeted a picture this morning of the Easy Fatality DLC listed in the PlayStation Store. The running responses to his tweet were predictable, in light of how ornery gamers can get when it comes to microtransactions. Redditors are debating the issue as well, and the responses on average are more measured. They do a good job of highlighting the gamer-pride issue (the sentiment that they don’t want to be spoon-fed fatalities), though other Redditors are quick to point out that easy workarounds are nothing new to home versions of the game. The ethics of DLC and the stung egos of gamers aside, there’s the questions of accessible design seem more poignant. Making video games accessible to the widest possible audience, including gamers with physical disabilities, is a running dialogue within the development community. Easy fatality moves fairly fall under the category of things Mortal Kombat X’s developers could have done to make the game more accessible to everyone. Of course, that’s don’t explain the extra cost. Warner Bros. Interactive Entertainment did not respond to our request for comment by publication time.